Are you thinking about moving away from home, living independently, heading to university or developing life skills? Our Moving Forwards course, which is designed by young adults for young adults, is the right choice for you. Staying in a fully accessible university accommodation in Leeds, you will have the opportunity to work on a range of skills like transfers, getting dressed independently, accessing public transport and making a meal, or whatever is important to you. There will be visits to local attractions, a treasure hunt around the city and a ‘come dine with me’ cooking challenge. The course will help you to build in confidence while meeting and having lots of fun with people your age who also have a spinal cord injury. The course includes a number of tailored wheelchair sessions to help you build in confidence and work on individual skills with the aim of achieving personal goals and aspirations. 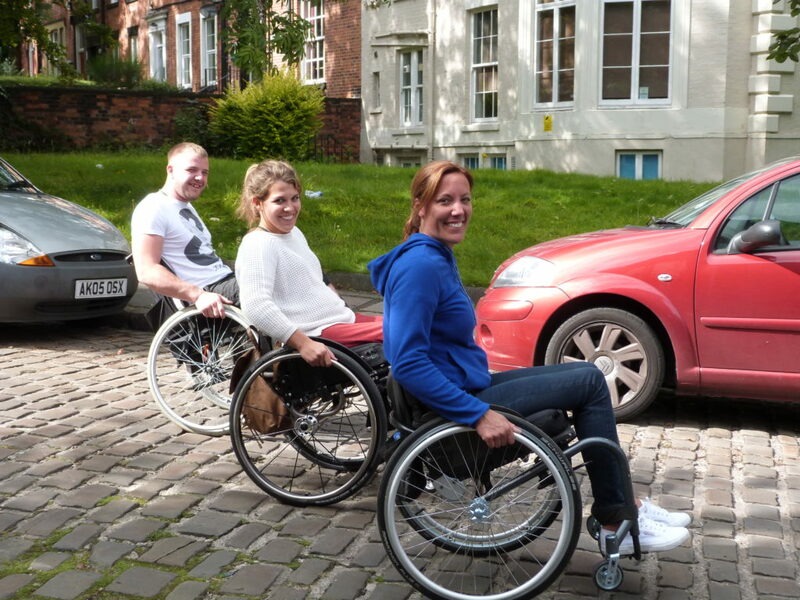 Our wheelchair skills trainers will be with you for the whole course to assist you with your development. You can apply online, or you can request a paper application.